Children play such an important role in weddings, while I was photographing this image in Mount Pleasant, Sc, at Dunes West Golf & River Club, with the bridal party and the bride and groom, I noticed that the boy had a disposable camera, and has I was giving them direction for a pose, he decided to take the photo, and become the official wedding photographer, noticing that, I quickly captured this image behind him. 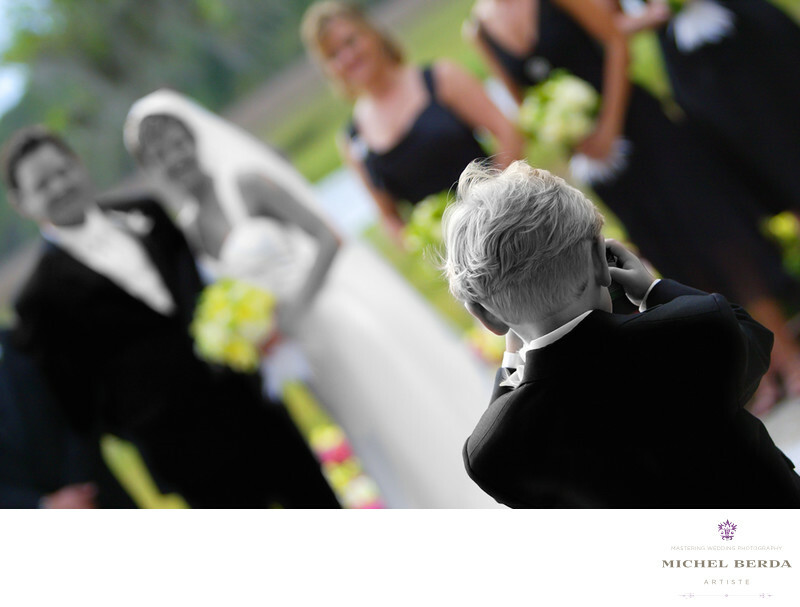 A perfect moment, as a Wedding Photo captured in Charleston, it has been an image that I have used in many occasions to brand my company. To me it is the true meaning of a wedding photo in Charleston, that incorporates the art in the image, from the little boy capturing the image, to the bride & groom and the bridal party. This image meant so much to my clients, because we all have a part in it. Keywords: Dunes West Golf & River Club Mount Pleasant (6), mount pleasant (39), Mount Pleasant Wedding Photographers (12), sc (309), Wedding Photographer (1254), Weddings (168).